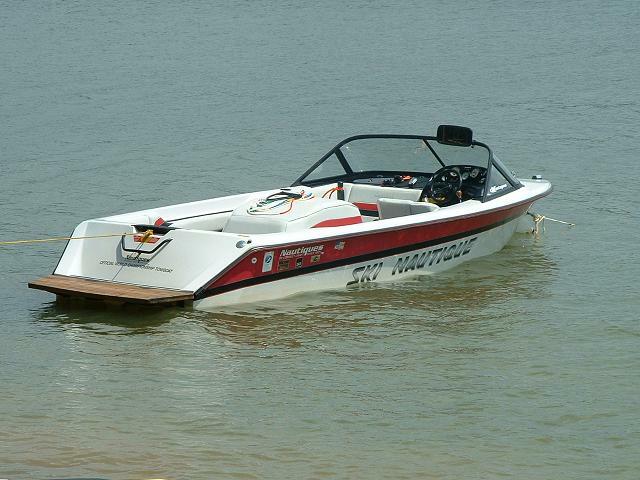 Ski Nautique Pulls Three World Records in One Week! ​In a matter of 6 days, three Nautique athletes broke World Records behind the Ski Nautique 200. On May 14th, current World-Record holder Nate Smith broke yet another world record in slalom skiing after running 3@43-off behind the Ski Nautique 200. The record was set during the Swiss Pro Slalom Tournament and is still pending with the International Waterski Federation to be officially ratified. Six days later during the 58th Nautique Masters LCQ event at the world-renowned Jack Travers Sunset Lakes location, two trick ski World Records were set by Aliaksei Zharnasek and Anna Gay. The two trick ski world records are also pending with the International Water Ski Federation, and with a trick score of 12,610 for Aliaksei and 10,880 for Anna, they are both incredibly excited to have such amazing results. These will be the 25th, 26th and 27th world records set behind the Ski Nautique 200, as the Ski 200 once again proves itself as the best waterski boat in the industry.